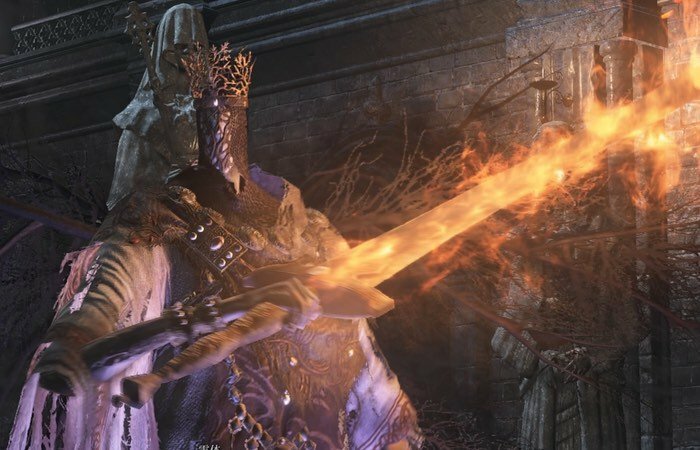 Dark Souls 3 players that are searching for a few tips on how to take down the fairly difficult Dark Souls 3 boss, Pontiff Sulyvahn might be interested in this new gameplay video that provides an insight into how the boss can be taken down with just one hit. Check out the gameplay video below to see how, rings, buffs and specific weapons can all be used in conjunction to provide enough might to bring Pontiff Sulyvah down with a single hit. If you can’t quite make out what’s happening in the gameplay video below, Reditter HolidayForHire has put together a good summary of exactly what needs to be done and when. From what we can see – red tear stone ring (20%) followed by dragon torso, sunlight Sword buff (11.5%), then deep protection (5%) and then weapon art Warcry from Yohrm’s Great Machete (not sure the %, but this isn’t sharpen, since that’s on the normal machete, and removes previously applied buffs) and then reactivates dragon torso (10%). Finally after the Parry he switches on Morion blade for another Low HP boost (20%). From what we can’t see but surely deduce he is also wearing the Hornet Ring (30%), and probably has Yohrm’s upgraded fully. I am fairly certain everything adds up multiplicatively, which puts him at 241% damage, plus whatever he’s getting from the weapon art. There’s another two ring slots I’m not accounting for as well, so he could easily be up around 300% normal damage, which makes this the equivalent of parrying and riposting the boss 3 times in one. Jump over to Reddit via the link below for more information.